Ever feel the need to just rock out? With our black piano belt you can do that whenever you what. Unleash your inner rock star. The belt has a nifty two snap closure on the end, so you can interchange any buckle. Available in White or Black. 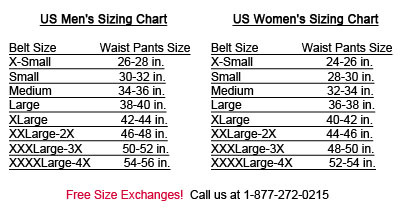 Sizes Small (30-32"), Medium (34-36"), Large (38-40"), and X-Large (42-44"). Unisex. Makes a great gift!